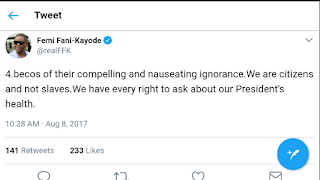 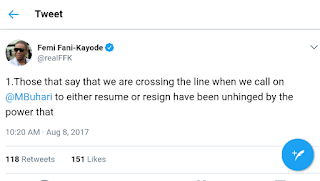 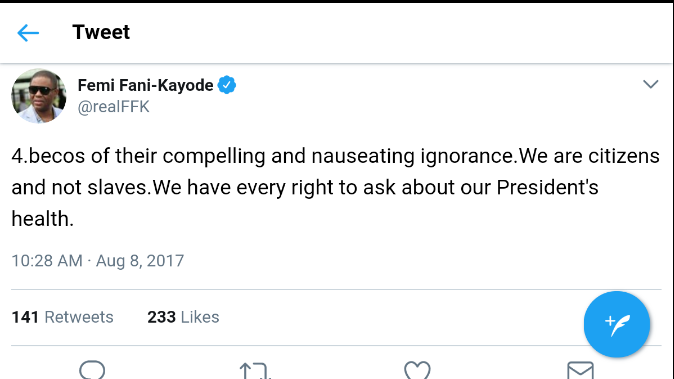 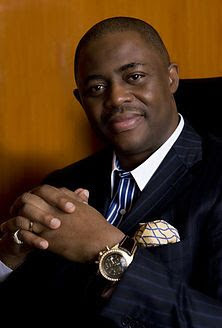 FFK took to his Twitter handle to say: "Those that say that we are crossing the line when we call on @MBuhari to either resume or resign have been unhinged by the power that they wield and the spirits they consult in the Presidency. 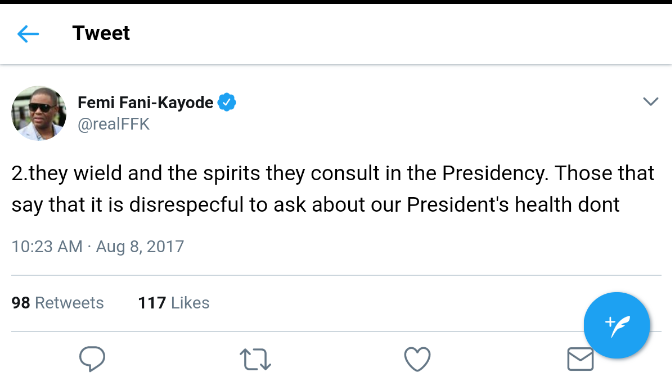 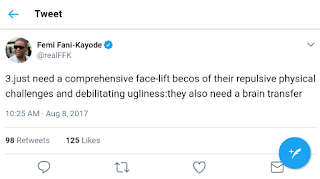 Those that say that it is disrespecful to ask about our President's health don't just need a comprehensive face-lift becos of their repulsive physical challenges and debilitating ugliness:they also need a brain transfer becos of their compelling and nauseating ignorance.We are citizens and not slaves.We have every right to ask about our President's health." 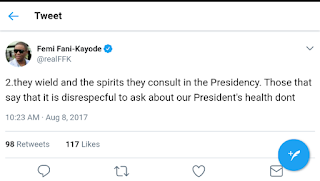 This came after the Presidential aide, Personal assistant on social media Mrs Lauretta Onochie yesterday on channels television program said, it is disrespectful for Nigerians to ask for the President's health status as the President now seems to be a private citizen.